Best known as: The long-running star of Hello, Dolly! Carol Channing’s fame comes from two smashing successes on Broadway: as Lorelei in 1949’s Gentlemen Prefer Blondes and as Dolly in 1964’s Hello, Dolly! She didn’t get the film roles for either part (they went to Marilyn Monroe and Barbra Streisand, respectively), but Carol Channing remained associated with Hello Dolly! for most of her life and played the role onstage for more than 5000 performances. In 1964 she won a Tony Award as best actress in a musical for her performance as the lovable meddler Dolly Levi in Hello, Dolly! In later years she toured relentlessly with the show, and played the same role in the Broadway revival in 1995. Carol Channing also appeared on TV and appeared in a handful of movies (notably in 1967’s Thoroughly Modern Millie and 1994’s animated Thumbelina). In time her distinctive platinum hair, saucer eyes and husky voice made her a beloved theatrical icon and a favorite of both male and female impersonators. She was given a Tony Award for lifetime achievement in 1995, after four decades on the stage. She published her memoirs, Just Lucky I Guess, in 2002. 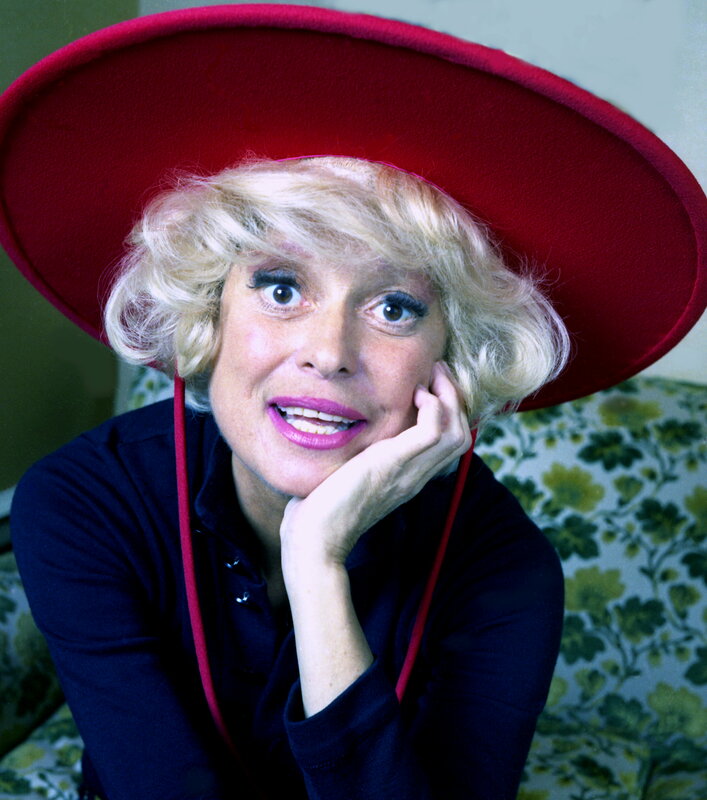 She was the subject of a 2012 documentary, Carol Channing: Larger Than Life. Carol Channing was married four times: to writer Theodore Naidish (from 1941 until their divorce in 1944); to pro football player Alexander Carson (from 1953 until their divorce in 1956); to her manager and publicist Charles Lowe (from 1956 until his death in 1999); and to childhood friend Harry Kullijian (from 2003 until his death in 2011). She had one son with Alexander Carson, named Channing, who later was adopted by Charles Lowe. As Channing Lowe, he later worked as an editorial cartoonist for the South Florida Sun-Sentinel… Although “Diamonds Are A Girl’s Best Friend” was her signature tune, Carol Channing’s version of “Hello, Dolly!” is as famous as Louis Armstrong’s… Carol Channing was a Christian Scientist (a member of the church founded by Mary Baker Eddy).